Your question offers an opportunity to ponder the significance of being “at home” and comfortable in one’s chosen synagogue, and the respective roles played by rabbi and congregation in creating that experience of being at home for you. 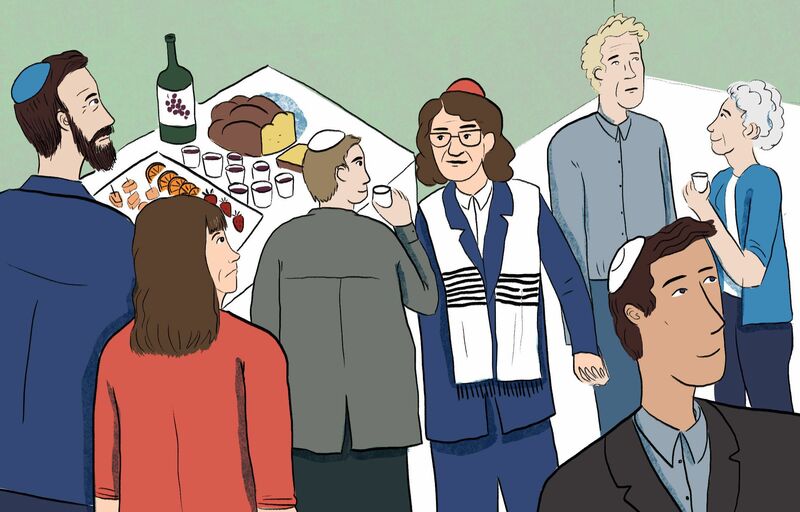 Your apparent suspicion that you may be “old fashioned” and “intolerant,” suggests that the choice you face in selecting a synagogue has opened a question you’ve not previously considered. I think that question comes down to what makes a congregation or a community, or a people, or even a state Jewish? If the root metaphor by which you think of the Jews is “family,” then the connections that create at homeness are biological and/or biographical, Jewishness being conferred by birth or upbringing or various forms of commitment. If you think of Jews as a “community of memory,” the connections would be shared and sharing historical remembrance; if you think of Jews as a “community of spiritual seekers,” then the link would be religious experience and aspiration; if you think of Jews as “world healers,” then the link will be socio-political engagement. And if you think of Jews as a threatened disappearing ethnos, the link will be working with others to combat anti-Semitism and assimilation, and to produce the next conscious generation. And so on. It is pleasant not to have to address these imponderables. In fact being at home may imply, a freedom from critical thought, a suspension of ethical judgment, a simple acceptance of what is. But it seems you’ve not found this at either synagogue. So you will be changed by the choice you make.